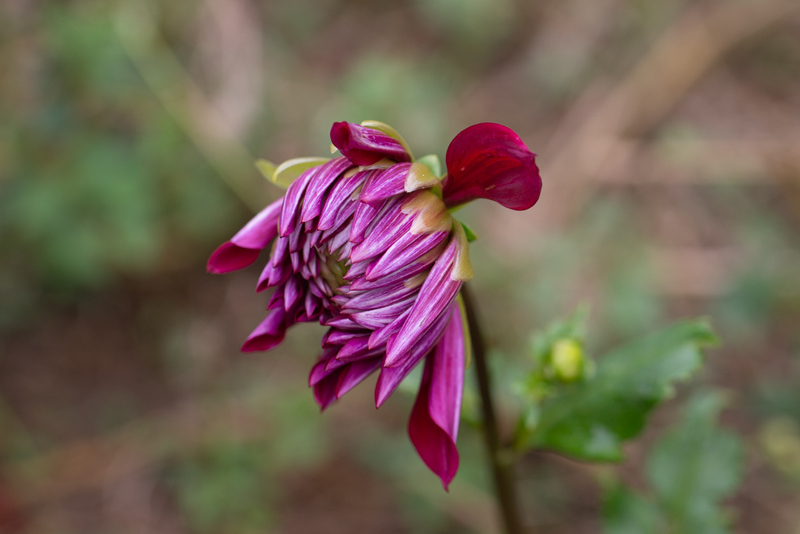 Well, it’s been a strange time for flowers on this Garden Blogger’s Bloom Day. While we have dodged the hurricane bullet that hit the folks in the Carolinas, the weather has been unusual to say the least. To date we have had over 52 inches of rain compared to the normal of 29 inches through mid-September. 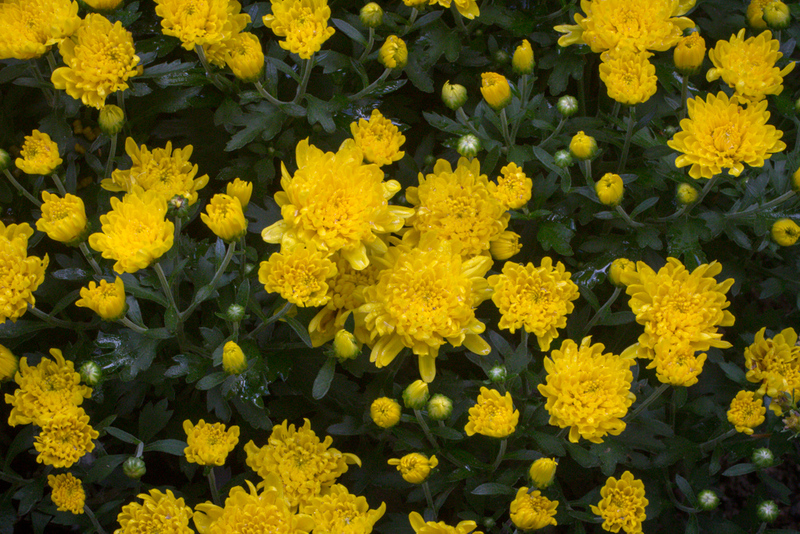 On the one hand we have the traditional flowers for September like the mums shown above. 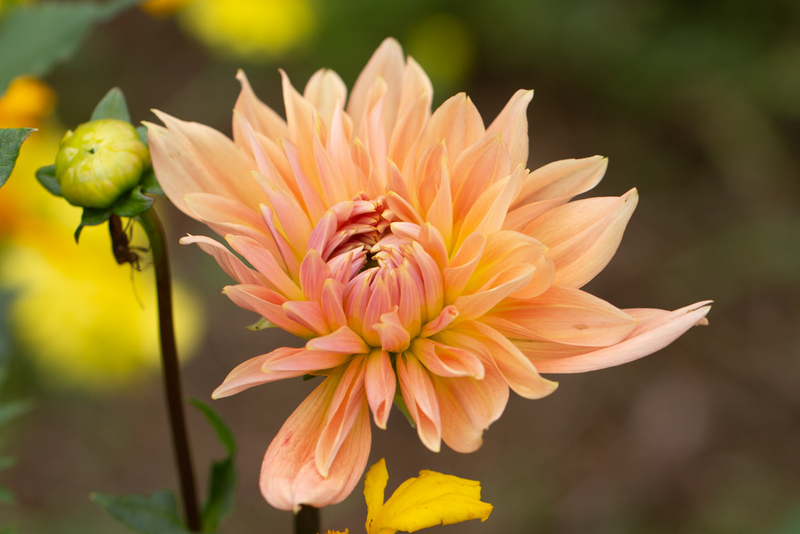 And some remarkable Dahlias from the garden. 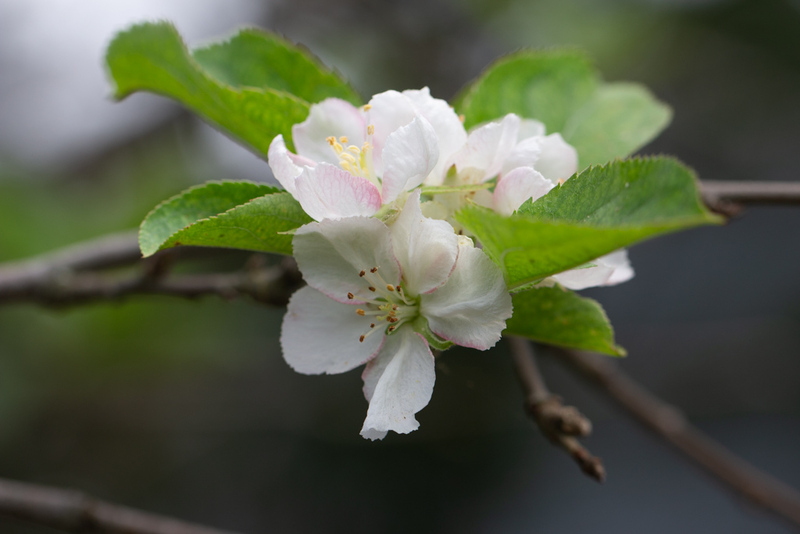 But we have also had the Apples drop most of there leaves in July and August and they are now re-blooming. 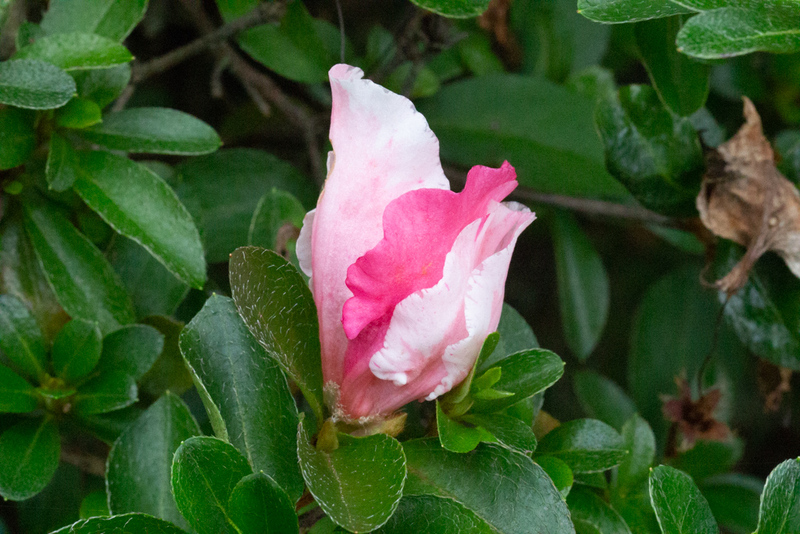 Many other trees have dropped their leaves and the Azaleas out front are blooming again. 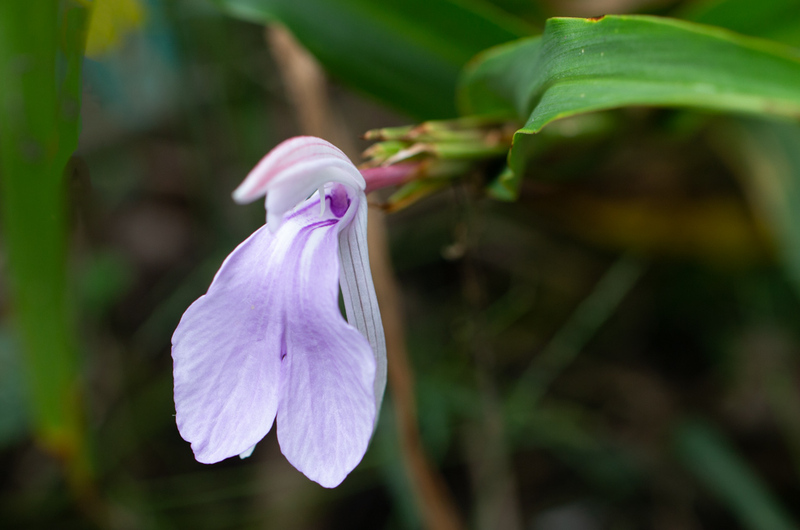 Despite the strange weather there are still a set of interesting flowers to find around the yard, for example this Roscoea. 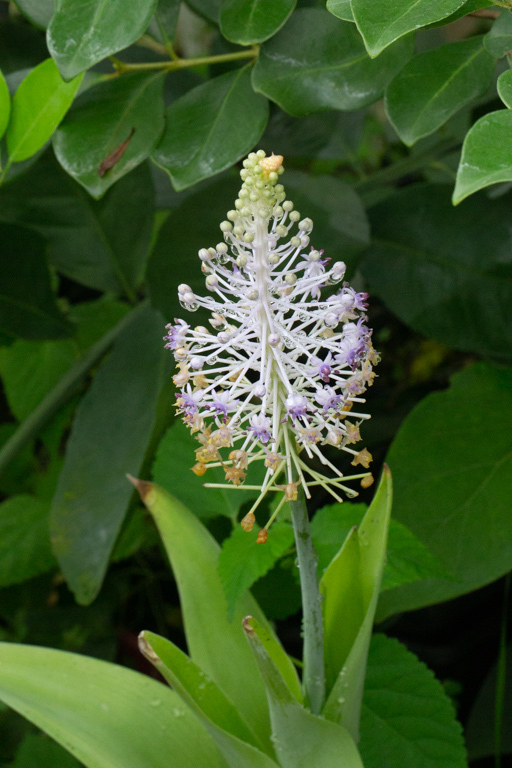 And in the greenhouse the rather unusual large Scilla maderensis is flowering once again. 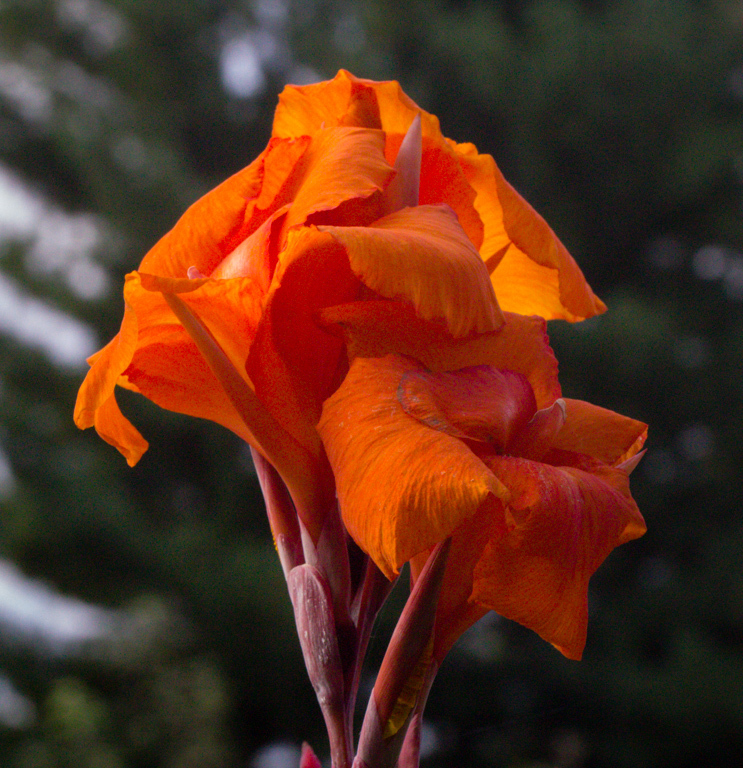 Some other items of note include this six foot tall Canna that came from a friend this year. 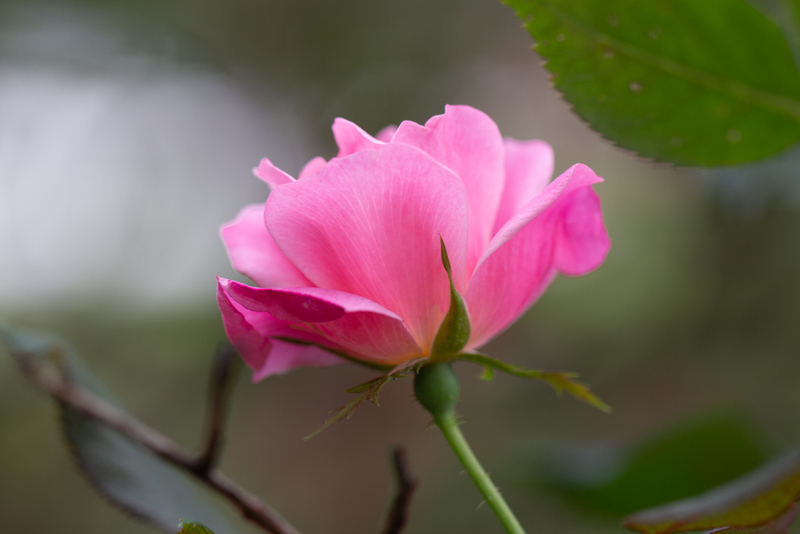 The Knockout Roses are continuing to bloom. 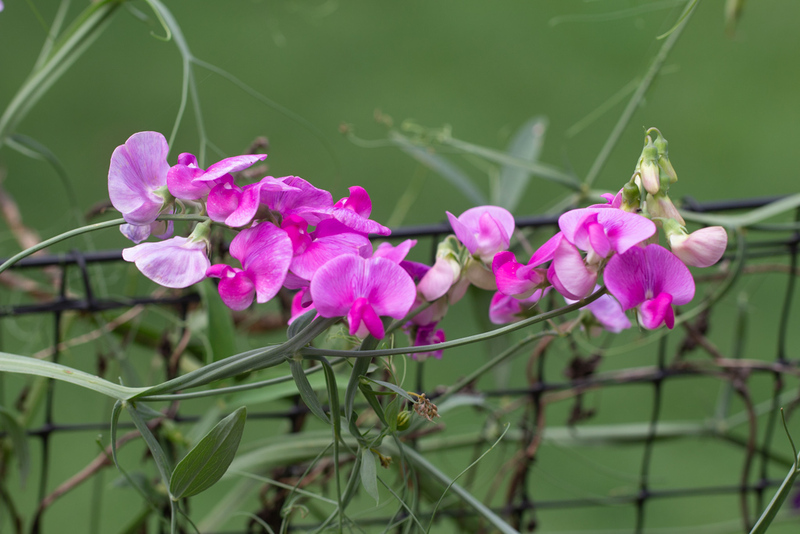 And the Perennial Pea is blooming once again despite our attempts to remove it. 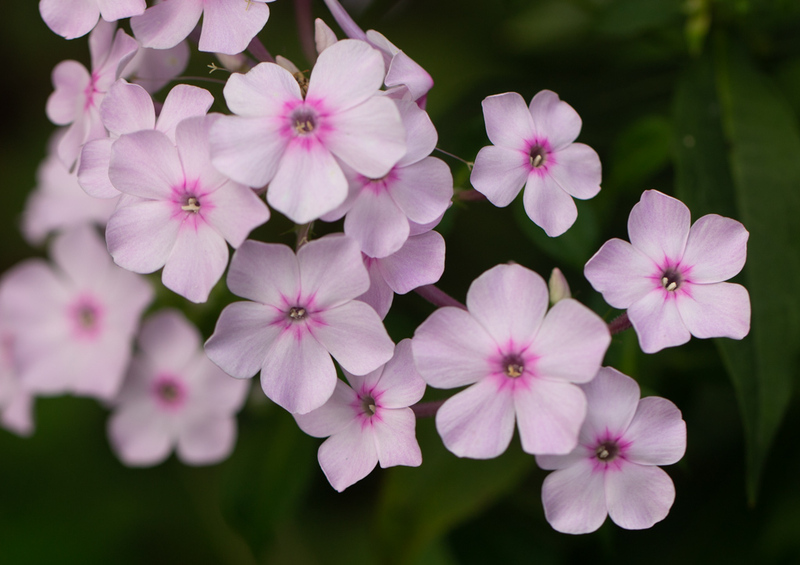 We have found that Phlox also reappears from long ago planting with or without our tending to it. And in the orchard the Blue Sage has been in continuous bloom since late spring. Some of our outside work is getting set aside because of several nests of Yellowjackets. They took up residence in one our large pots on the deck and also in the ground by one of the raised beds. 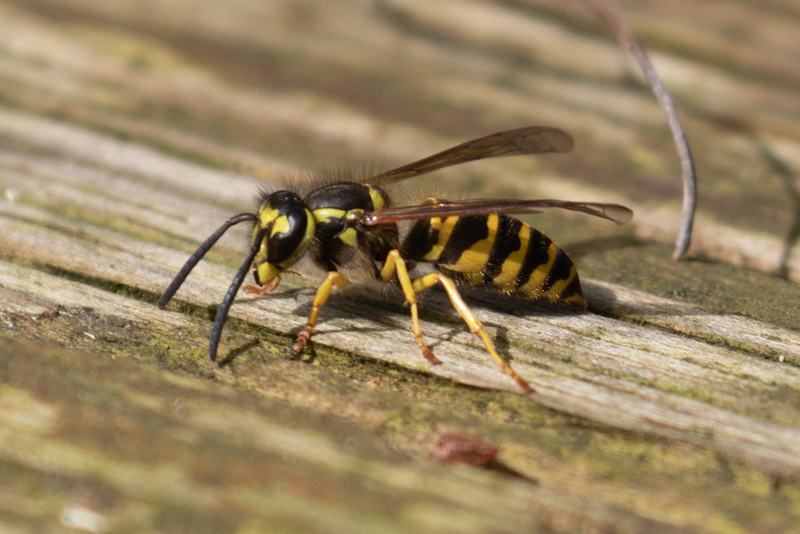 These guys seem impervious to chemicals and according to the web can be quite dangerous (not something we want to test since I for one am allergic to wasp venom) and there are hundreds of them. 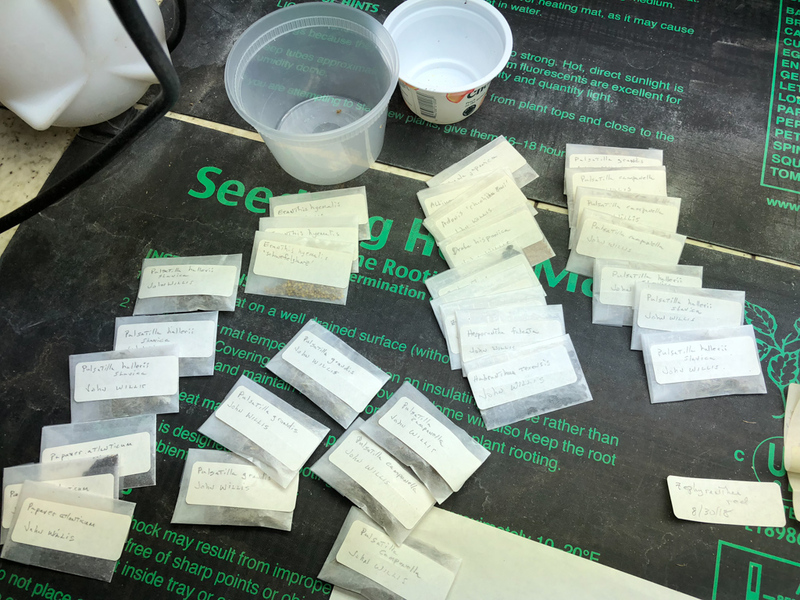 Finally, let me note that this is time for packing up your seeds to send off to the various seed exchanges. By becoming a seed donor, you get first choice when you participate in the seed exchanges organizations. Check out the North American Rock Garden Society for example. 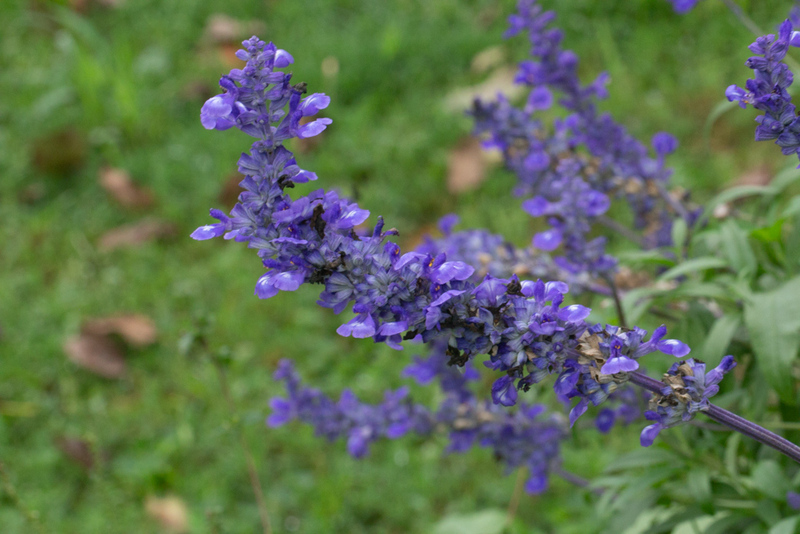 Lovely blue sage. I can’t plant enough of flowers that color. Beautiful! Love the Canna, the Dahlias, the Rose, and all the others, too!